At least 11 state transportation departments (DOTs) will limit or suspend construction activities due to the Aug. 21 total eclipse of the sun. Work will slow or come to a halt not only on the day of the eclipse, but also throughout the week as states brace for a surge of tourism. DOT administrators and safety supervisors say they are concerned about distracted drivers near construction projects. 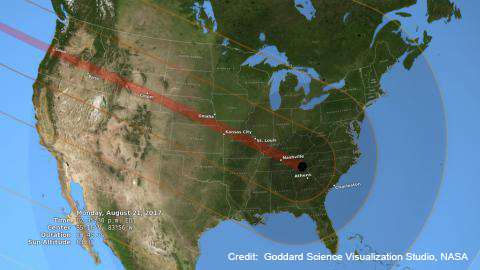 During the eclipse, the path of the moon will completely cover the sun on a diagonal across the United States from Salem, Oregon, to Charleston, South Carolina. The rare, natural phenomenon occurs as transportation construction firms make the most of the peak summer building and repair season, particularly in states where activity is limited in colder months.